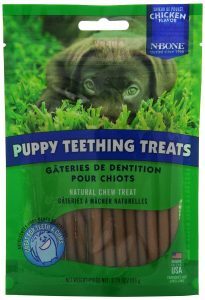 N- Bone Puppy Teething Treat 3.74 oz. 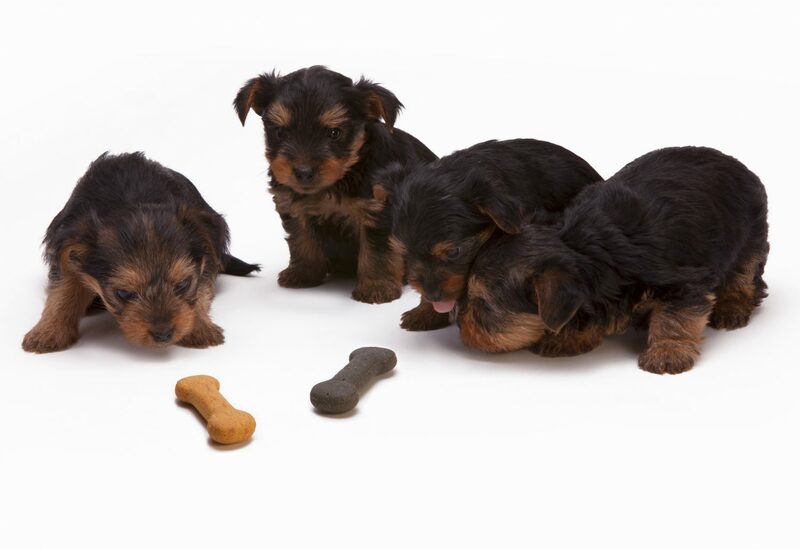 Looking For The Best Bones For Teething Puppies? Here’s a look at our favorites, including our top pick – N- Bone Puppy Teething Treat. Welcoming a puppy into the family is a fun, exciting, and cherished time. There’s something about having a puppy in the house that adds a little extra life and laughter, whether it’s their cute little barks, their liveliness as they pounce around the house, or those big, beautiful eyes (they’re called puppy-dog eyes for a reason—they’re utterly irresistible). At the same time, let’s not ignore the truth that raising a puppy isn’t all fun and games. That cute little ball of fur will lose a little bit of charm the first time you find chewed-up shoes in your closet. While this is inevitable, it’s more than possible to mitigate if you provide your puppy with the right chew toys and training. 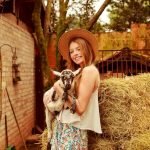 It’s important to start training your dog and establishing healthy routines when they’re young to help them grow into a well-behaved adult. It’s also helpful to understand why puppies chew so much. They’re not trying to be Dennis the Menace—they’re simply going through a painful teething process (much like babies), and they need the right snacks, bones, and chew toys to relieve their sore mouths. Keep their mouths filled with the right treats and toys and keep the floors clear of everything they shouldn’t chew, and you’ll have them trained quicker than you think. Coating –stay away chemicals that can lead to digestive problems, poisoning, or toxic shock. 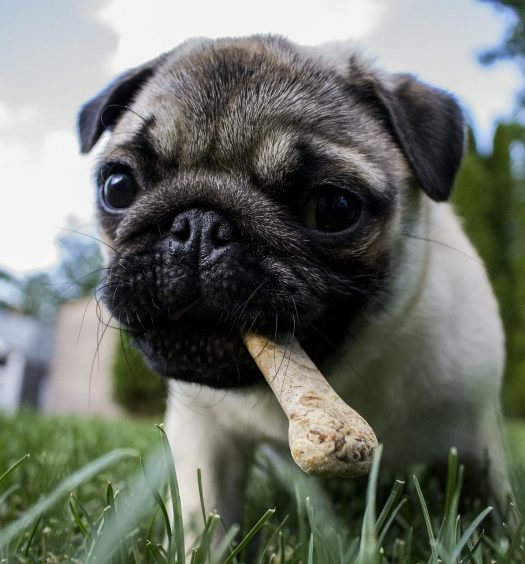 Digestibility – when it comes to bones, keep in mind that your puppy will be ingesting pieces of the bone as they chew. A good bone shouldn’t splinter into large pieces that can get lodged in their digestive system, and the material should be easy to digest when they swallow small pieces. Hardness – if you’re getting a chew toy, you’ll want to strike a balance between durability and pliability. Your puppy needs something that’s hard enough to relieve their sore mouths, but soft enough that it won’t damage their teeth and gums. Always apply the thumbnail test—if you press your nail into the toy and it doesn’t give, it’s too hard. Size – be cautious of toys and bones that are small enough they can be accidentally swallowed. Washable – when you get a chew toy, you should throw it in the dishwasher periodically for disinfecting. If you’re looking for an all-natural treat for your teething puppy, this one’s for you. Puppy teething treats by N-Bone have a pliable and flexible design that offers a satisfying chew without damaging the puppy’s developing, delicate teeth and sensitive gums. The size, shape, texture, and all-natural ingredients are designed to soothe sore gums and teething pain. There are no artificial colors or preservatives, and they’re good for puppies’ digestive systems, too. 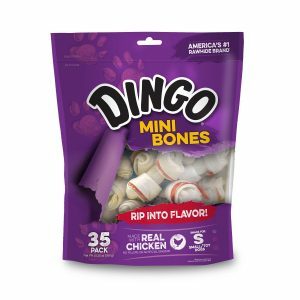 Dingo brand products always do a great job of creating treats with the flavors that dogs love and the health benefits that growing puppies need. These mini bones are made with real chicken wrapped in premium rawhide, so they’re packed with plenty of protein. There are no fillers or artificial binders, so you know it’s quality protein, too. The shape of the treats and the rawhide texture naturally clean your puppy’s teeth as they chew. It’s a great treat to feed your teething puppy every day. 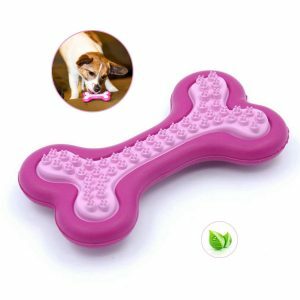 This is one of my favorite puppy teething toys because it combines a healthy chew toy with a fun, mentally-stimulating treat dispenser to reward your puppy for playing and chewing. 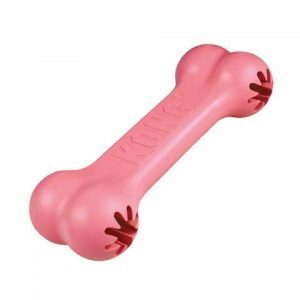 Puppy Kong Goodie Bone Toys are made of natural rubber. They’re specially designed to strengthen your puppy’s jaws and ease teething pain. Both ends have a port to hold and dispense treats, so your puppy will love playing with it for hours as they try to release more treats. The bone is a little over five inches long, so the toy is recommended for puppies that are 2 – 9 months old. Every toy is made in the United States, and it comes in blue or pink. Nylabone is a well-regarded brand in the pet toy market, and all of their products are designed to promote good dental health and hygiene. This particular chew toy is designed specifically for puppies to encourage nondestructive chewing habits while satisfying your puppy’s natural tendency to chew. The ridges and raised bristles on the chew toy help to clean their teeth and prevent tartar buildup. The toy is durable enough to withstand powerfully-chewing puppies, but soft enough that it won’t damage their tender teeth or sensitive gums. The unique shape of the chew toy makes it fun to play with, and the delicious chicken flavor will make sure your puppy always chooses this toy over your shoes, socks, and all the other items in the house they’ve been trying to chew up! One look at this ThinkPet rubber chew toy should be enough to convince you that it’s a great choice for teething puppies. Where the Nylabone puppy chew toy has more subtle bristles, this one raises the bar to make sure your puppy’s teeth and gums are clean and strong. As a bonus, it has a mint flavoring that leaves your puppy with minty-fresh breath (well, at least as minty-fresh as puppy breath can be…). The chew toy is made of natural rubber using a bi-injection technique, so it’s the right combination of durability and pliability. I’d recommend going with a combination of a good teething treat and an artificial chew bone. 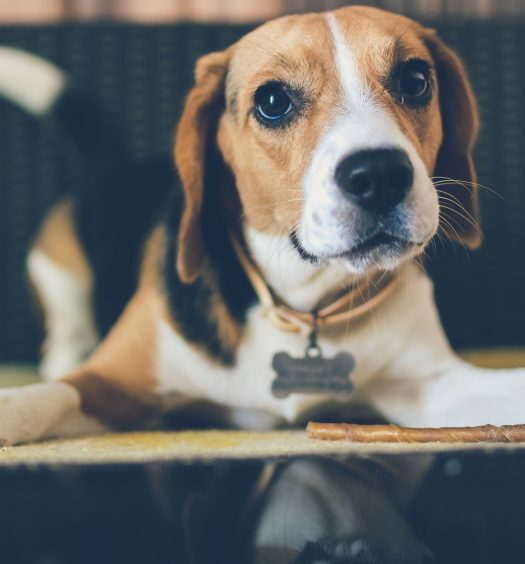 The teething treats will give your puppy something tasty to ingest as they chew, and the artificial chew bone will them something durable that they can turn to when the treats aren’t around. If your puppy is a large breed with a strong jaw, you may even want to get two or three artificial chew bones that you can alternate between so that they don’t wear out as fast.